Statement cashmere jumper in warm autumnal palette, knitted using heritage hand intarsia method. Chevron Pattern Placement knitted using a traditional hand intarsia technique. 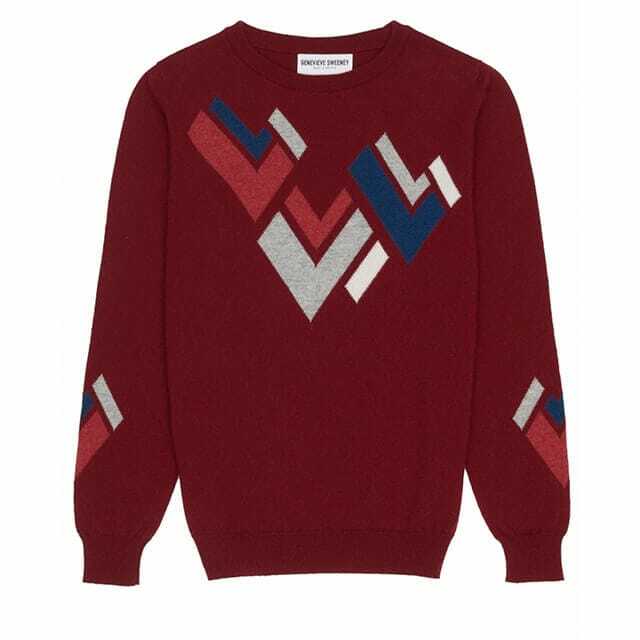 Geometric shapes in autumnal shades for the perfect statement jumper. Made in the Scottish Borders with Scottish spun cashmere.